I got a sample of this Sephora and I really wanted to love it. My skin looked flawless when I first put this on. I let it sink in for 10 minutes and used it with my MAC studio fix fluid. My skin looked so healthy and after using power I looked natural but matte. After about an hour I could feel my skin getting so greasy I was afraid to look in the mirror. I definitely do not think this primer is made for us with oily skin. I think it'd be perfect on someone dry to normal, even maybe combo if you powder your t zone. It can really make your skin look photo perfect and so gorgeous but it does not hold up well against oily skin. 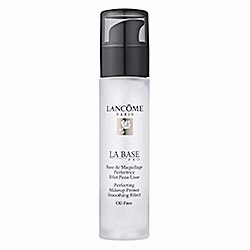 Have you tried this primer before? What do you think?